Aerial advertising delivers alternative outdoor in an uncluttered, one-of-a kind reach in ways other advertising mediums cannot. 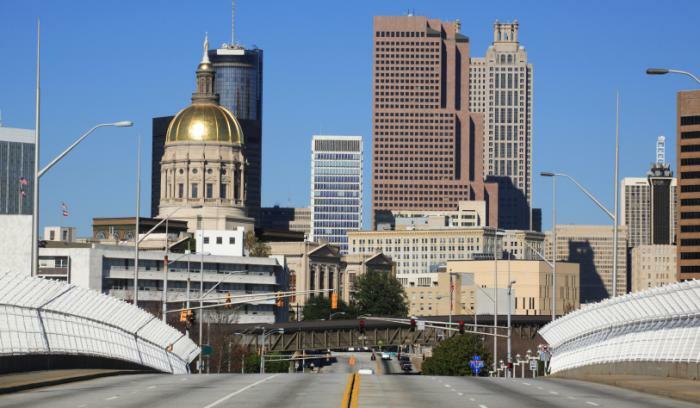 From downtown Atlanta, Buckhead, the Georgia Aquarium or Zoo Atlanta, Georgia Convention center, and Centennial Olympic Park to sporting events and concerts to daily traffic areas – It's targeted and coverage is second to none. Unique and unforgettable, aerial advertising complements the light television and newspaper viewers (source: Arbitron, 2002). Extend your brand's campaign to include aerial and integrate existing creative with your newspaper and print, radio, and even network television. The sky's the limit - Untapped, large, noticeable, and ever expansive, the aerial medium delivers impressions. Aerial advertising delivers extremely efficient CPM's to meet your demographic and geographic objectives. Often times below $4, depending upon specific events and overall populations, and remarkably at lower costs when compared to other forms of traditional media. Ask an AMS representative for comparisons to other advertising mediums and see for yourself that aerial media is effective for both the small local to large national and global market advertisers. * AMS offers advertising opportunities in US and Canada locations, allowing your advertising campaigns flexibility to reach your target audiences geographically. © 2019 Aerial Media Services, Inc. All Rights Reserved.